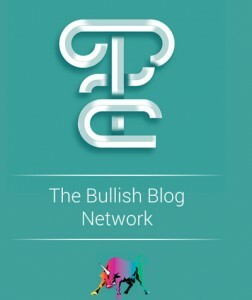 I read this as an ebook on my iPhone earlier this year, when I was depressed and my thoughts were lying to me. Or at least that’s how I perceived it, that my brain was playing cruel tricks to make me feel bad about myself and my life. It got so bad I called a psychologist. But it was Saturday, so no one picked up the phone to talk me out of my misery. I did the next best thing, which was to stay limply sprawled on the couch and scroll through the apps on my iPhone. I needed to laugh and to hear a strong female voice that would not make me feel bad about myself. Lean In would not do. I craved comfort and a distraction. In this frame of mind, I was scrolling through the memoir selections on Scribd app when the title The Bedwetter caught my eye. Bingo. 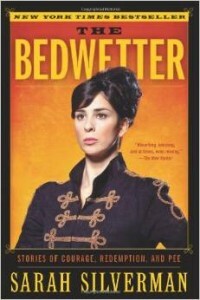 Sarah Silverman exemplifies ballsy ambition. She’s had her own TV show, been naked with Louie CK and dated (and humiliated) Jimmy Kimmel. She’s courageous, bold, and vulgar in her own charming and wholehearted way. She won an Emmy in 2008 for her video I’m F***ing Matt Damon, and has been credited with helping secure Obama’s election with the The Great Schlep campaign. And before she achieved all that and had her own HBO comedy special, she grew up a small, hairy Jewish girl in New Hampshire wetting her bed almost every dreadful night and well into her teens. And her stories of pee are wrenching as they are hilarious. Silverman also has the gall to include in the book word-for-word, email-by-email transcriptions of negotiations between her and the stodgy corporate types who try unsuccessfully to talk a mouthy comedy celebrity out of writing her own forward (rest assured, the afterword is written by God himself); casting her fat, nerdy friends as gay lovers in The Sarah Silverman Program; and working with the budget she needs to make the show and make it good. I picked up the book to get a laugh and found myself getting a good lesson in tough negotiations. She breaks all the rules of nice, mild-mannered workplace negotiations. Her fame certainly helps, but the real source of her bargaining power is in her outrageous courage to speak her mind (no matter how dirty) and stand for her demands. Power to her: she draws confidence from overcoming her bedwetting traumas. For each negotiation, she has a clear vision of what she wants and why. She articulates it with wit, unaided by an edit button. And she gets what she wants, because her will is ironclad. She’ll either ‘die on this hill’ or walk away from the book or TV deal. She’s unflinching in the face of no. Which is the perfect segue to the negotiation book I have the pleasure of reading in hardcover print. Reading the book description on Amazon might give you the impression that Camp endorses a ‘take-no-prisoners’ approach, a lá Sarah Silverman against media executives. Surely enough, in Start with No Jim Camp openly disparages mutual win negotiation. He calls it for what it is in the context of big corp negotiations: underhanded invitation for unnecessary compromise by the ‘tigers’ of Fortune 500, who are out to kill. He knows this firsthand because he coaches them in multimillion dollar deals. If he’s good enough to coach the tigers of Fortune 500, he’s good enough for the ballsy woman looking to improve her negotiation chops. He’s an outspoken contrarian in the field of negotiation coaching. I found his book refreshing and eye-opening. In fact, I had the pleasure and privilege of negotiating with Jim Camp on the phone last week. True to his word, at the end of our conversation, he invited me to say no. He specifically requested that I give a deadline for saying no, and it made the negotiation painless and easy for me. Starting with no really works, because it’s a proven framework for decision making. So pick it up this winter and go deeper. More I read, more I found Camp had in common with the mutual win negotiation camp he so enjoys belittling. Both Camp and mutual win negotiation experts like She Negotiates teach you to dig deeper into the underlying interests of the other side (you can call them your negotiation partner or adversary, it doesn’t matter) by asking open-ended and nurturing questions that start with why, what, who, what, where, when and how. Don’t take my word for it. Try it out for yourself. Next time you are at a networking event, dig deeper into the other side’s world with open-ended, diagnostic questions. It’ll make you look smarter, better engaged, and more empathetic. Invite the other side to open up and share their problems, worldview, fears, and preferences with you. 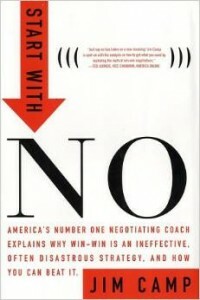 Next time you are in a negotiation, go a step further and invite the other side to say no. Embrace no, because no is not a rejection of you, and because you inherently risk hearing no in every negotiation you initiate. Embrace it, and it will make you a master negotiator. A great negotiator enters the conversation with no assumptions or expectations. She enters the negotiation in a blank slate, fully present and open to new possibilities. Jim Camp endorses this, and in his book, he stops short of endorsing meditation. I believe meditation makes you a better negotiator. You’ll be calmer, better focused and more present. 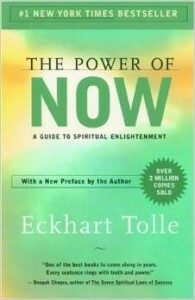 If you want to learn how to become more present, I highly recommend Eckart Tolle’s book The Power of Now. It’s changing me from the inside out. It’s a spiritual book, free of religious dogma yet practical and applicable to daily life. Tolle teaches you that you are not the thinker, that you are not your mind, and this realization is freeing and enlightening. I actually didn’t read the book, but instead listened to the audio book narrated by Tolle. I’m listening to it still, for the fourth time. I’ll probably give it another listen to help me cope with winter blues. To focus on Tolle’s calm and soothing voice while walking outside in New York City in fall is a meditative experience in and of itself. It’s proven more effective and cheaper than talk therapy for silencing the voices of doubt and anxiety. Again, don’t take my word for it. Give the book a try and see if it helps. It helped me lift out of anxiety and depression. It taught me how to meditate, be more present and grateful for the abundant grace in my life. It made me a better negotiator. For the ballsy and courageous, I challenge you to be ambitious not just for material achievements, but also for spiritual and emotional fulfillment. Let this book guide you into that journey.